Jaguar E-Type, 1 1/2 model 1967, imported 1997 from USA and complete dismantled in Faenza. The owner run out of money and the new owner changed all mechanic parts in 2005 ,repainted and invested 65000 Eur. In 2009 the car was ready and drove since 20000km. All parts are restored and there are no hidden defects. The owner is in a age were it is difficult to drive the E Type. 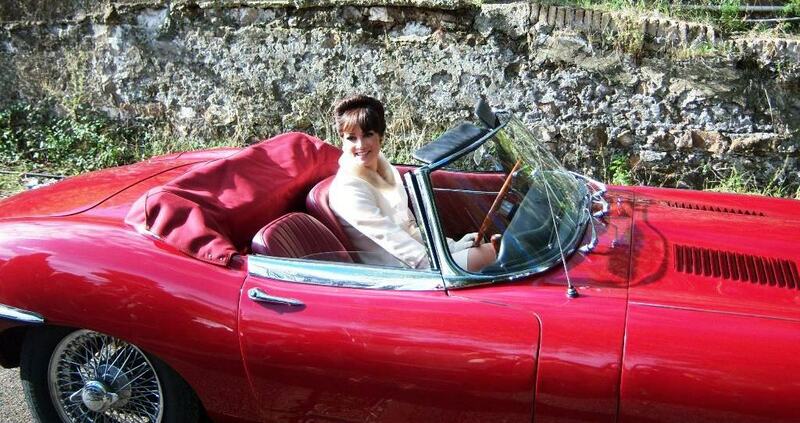 here is a foto with Melanie Arcuri, a Film actress, in the Jaguar E Type.